JACKSON-Jackson Township now officially has an assistant business administrator after a long-time administrative clerk to Mayor Michael Reina, Samantha Novak received a promotion in February. 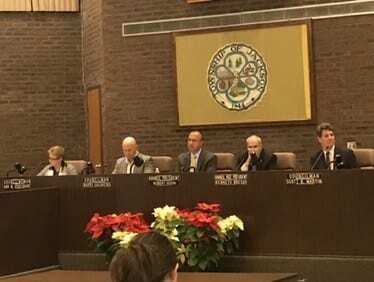 The township did not announce the appointment, but it was confirmed on Friday by Business Administrator Helene Schlegel. Schlegel said only that Novak was appointed to the position and will receive an $80,000 annual salary. According to the New Jersey Public Employees Retirement System, Novak earned $58,960 in the last year on file, 2016. Novak received stipend pay for other duties performed outside her role as clerk to the mayor. She did provide a copy of the township’s tuition reimbursement policy. Should an employee desire to attend college, training classes, or obtain a certification; such employee may submit a request to the Township Business Administrator. The Business Administrator may, in his/her discretion, approve those courses which will benefit the Township, are related to an employee’s work, and for which funds are available. Employees must obtain advance approval in order to be eligible. The Township will pay for tuition only, in accordance with the following: the employee must receive a C or better. The Township will pay for a maximum of six credits per semester for an individual with a maximum per credit no higher than the Rutgers University per credit rate. If an employee leaves the employ of the Township within one (1) year from the date of tuition reimbursement, obtaining a certification, or completing training with a cost above $500, the employee shall reimburse the Township for 100% of the cost paid by the Township. If an employee leaves within two (2) years, he/she shall reimburse the Township for 50% of the cost paid by the Township. Schlegel said Novak’s old clerk position will remain vacant. “The position will not be backfilled and all previous stipends have been removed,” she said.